Globally, school water and sanitation coverage both increased by six per cent between 2008 and 2013. This is one of the key messages from a new UNICEF working paper “Advancing WASH in schools monitoring“. 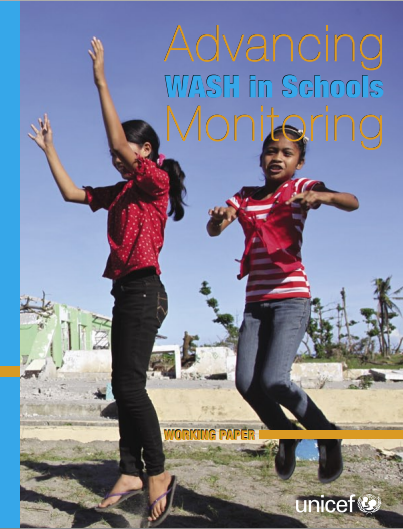 The paper presents the best data available for the coverage of water, sanitation and hygiene (WASH) services in primary schools gathered from 149 countries for the period 2008-2013. It also compares current national WASH in Schools (WinS) monitoring indicators against global guidelines. By providing this information the publication responds to the 2012 Call to Action, Raising Even More Clean Hands. It also aims to promote and support improved monitoring of WinS so that coverage indicators can be included in the forthcoming Sustainable Development Goals (SDGs). A new report by the World Health Organization (WHO and Unicef provides an “alarming picture of the state of WASH in health care facilities”. Drawing on limited data from 54 low- and middle-income countries the report concludes that 38% of the facilities lack access to even rudimentary levels of water, 19% lack sanitation and 35% do not have water and soap for handwashing. In addition, “training and capacity building to ensure there are sufficient resources and personnel to operate and maintain WASH facilities and enable health care staff to deliver hygiene behaviour change messages is urgently needed”, the report says. “While the situation appears bleak, there are a number of global initiatives for which WASH in health care facilities is a foundational element and examples of national governments taking the initiative to improve standards, implementation and monitoring”, the report concludes. 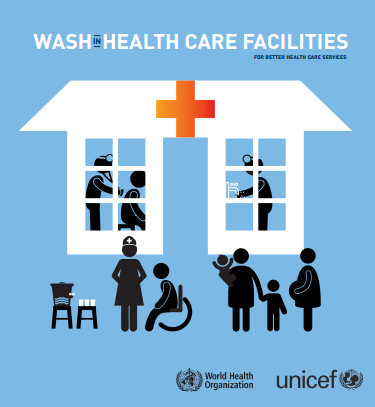 Through coordinated, global action, with leadership from the health sector, WHO and Unicef believe that all health care facilities can have adequate WASH services. 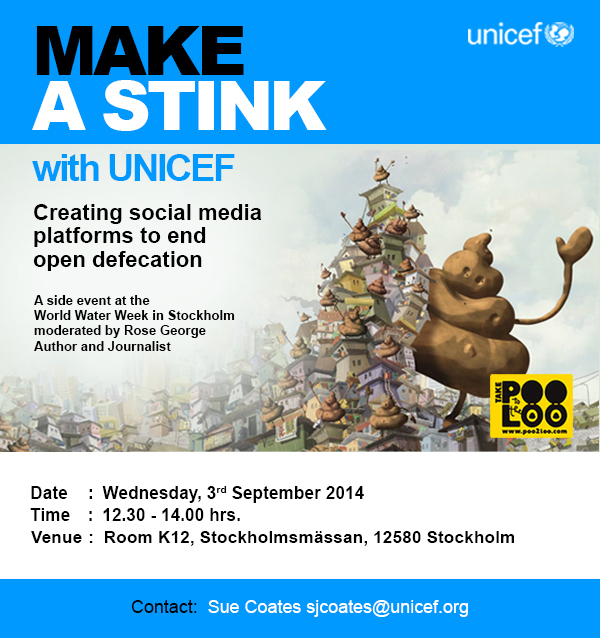 The UNICEF India WASH section is hosting a side event at the Stockholm World Water that builds on their poo2loo campign to promote the use of social nedia iniatives aimed at ending open defecation. Journalist and author of The Big Necessity Rose George will moderate the event. Panel members Include: Stephen Brown (Global Poverty Project and Global Citizen, UK), Sanjay Wijesekera (UNICEF New York), Thorsten Kiefer (WASH United) and Sue Coates and Maria Fernandez (both from UNICEF India). Make the Stink will be held from 12.30-14.00 on 3 September. How can Community Led Total Sanitation (CLTS) and other programmatic approaches be integrated into a service-led rural sanitation delivery? 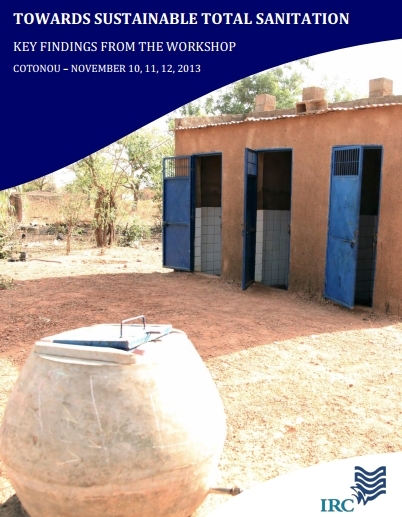 This was the topic that attracted around 70 practitioners from 16 different countries to Cotonu, Benin in November 2013 for a Learning and Exchange workshop “Towards sustainable total sanitation”. The workshop was organised by IRC International Water and Sanitation Centre in partnership with WaterAid, SNV and UNICEF. appropriate incentives and financial arrangements. 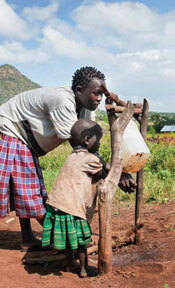 Handwashing Promotion: Monitoring and Evaluation Module, 2013. UNICEF. Prepared by Jelena Vujcic, MPH and Pavani K. Ram, MD, University at Buffalo. The 7 major steps of monitoring and evaluating handwashing promotion. Choosing indicators appropriate to the programme’s objectives. Collecting the necessary data, and sample questions for indicators relevant to handwashing advocacy, education and behaviour change. Health impact measurement and caveats for the inclusion of health impact assessment as part of an M&E plan.